India took their gold medal count to five at the Commonwealth Shooting Championships with Prakash Nanjappa and double trap shooter Ankur Mittal clinching top honours in their respective events, here on Friday. Nanjappa led an Indian clean-sweep at the men's 50m pistol event with World Cup final bronze-medallist Amanpreet Singh winning silver and Jitu Rai fetching his second bronze of the competition. Mittal added more glitter to his best-ever international year with the double trap gold, while Shreyasi Singh bagged a silver in the women's double trap event to round off yet another successful day for India at the competition. India have so far won 15 medals at the ongoing championships. Making a strong comeback in the eight-man final round, Nanjappa won the coveted gold medal with a score of 222.4. It was Jitu Rai, who topped the qualification round of 50m pistol with a 559, while Amanpreet qualified third with 543 and Nanjappa in fourth with 542. It was the same pattern at the start of the final with Jitu again the strongest off the blocks. Nanjappa, in fact, was in fifth place after the first five-shot series but after the second series, it was clear that the race was going to be among the three Indians, with the trio pulling away from the rest of the field. The lead fluctuated for most parts between Jitu and Amanpreet, but Nanjappa caught up from the 18th shot of the 24-shot final, pipped Jitu by 0.2 at the end of the 20th and beat Amanpreet by 0.4, to eventually emerge triumphant. Three Indians also qualified for the men's double trap, while two qualified in the women's event. 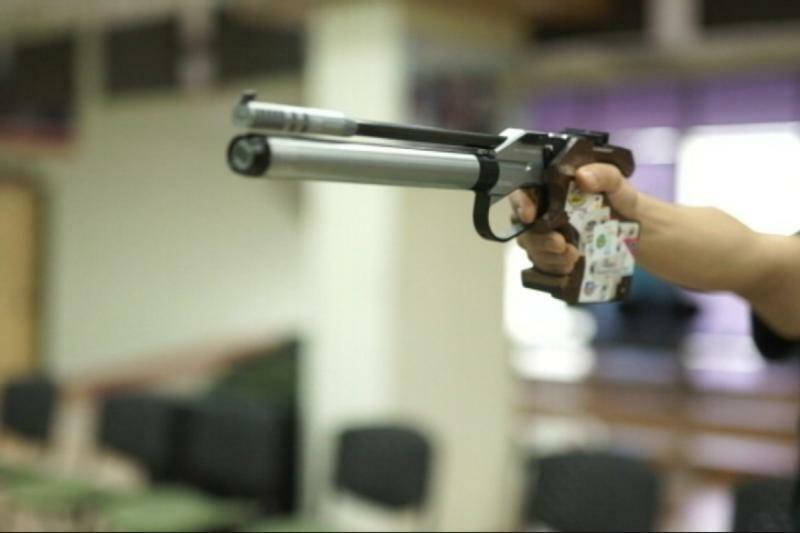 Mohammed Asab was the best Indian qualifier shooting 140 out of 150 to be placed third in qualifying. Mittal shot 138 to qualify in fifth place while Sangram Dahiya grabbed the sixth and final qualifying berth with a 135. In women's event, Shreyasi qualified in second place with a score of 96 out of 120, while Seema Tomar shot 84 to qualify in fifth place. In the final, Mittal bagged the top spot by beating England's Matthew French.